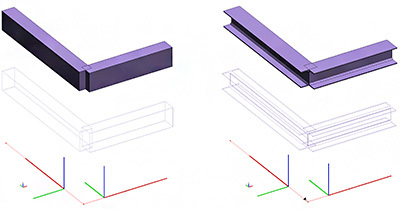 Sometimes, during the modeling process, certain small distances could appear between extremities of linear elements that should be connected. These distances can appear also on models that were created using a different software and then imported in Advance Design. In order to correct those geometrical inconsistencies fast and precise, Advance Design offers the option "Auto Trim&Extend". 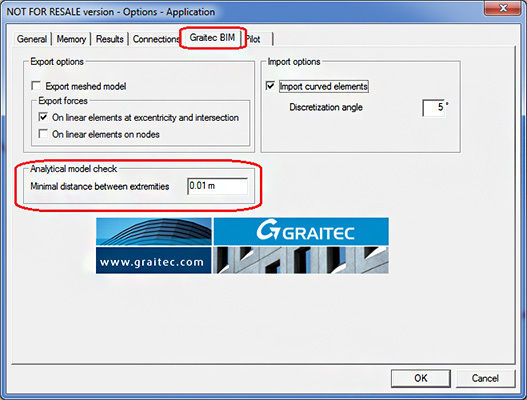 In order to use this option the user must first select the linear elements and then run the command. The maximum distance available for this command is 1m. The elements extremities that are separated by more than 1m must be aligned manually.